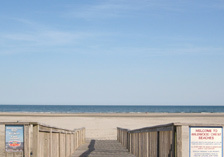 The Diamond Crest is located directly across the street from the beach in beautiful Wildwood Crest. 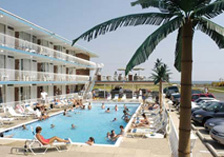 All of our units are 2 room suites. They consist of 1 bedroom with 2 double beds, 2 televisions, and a living room with a full size sofa bed. Also in the living room is a fully equipped kitchen with a two burner stove, and microwave. All efficiency suites have full size refrigerators, and in our motel suites are under the counter refrigerators. All rooms also have a full tile bathroom that separates the two rooms. 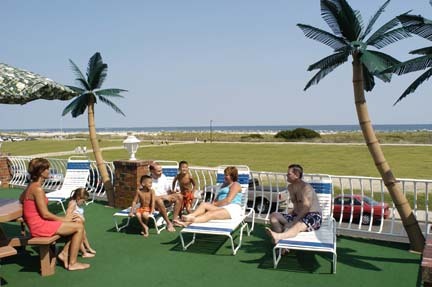 All our suites have a Southern Exposure and an Olympic size heated swimming pool and fenced kiddie pool.